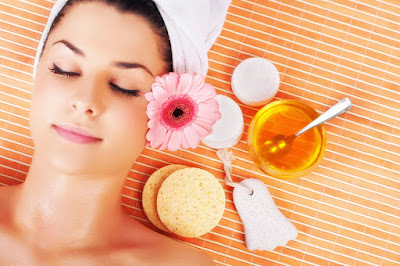 If you can connect yourself with these problems, then you should try some of these homemade skin lightening treatments which will surely help you. Not only will you save precious time, but you will also save plenty of money you would usually spend on products. Out of all skin care tips for busy working women, this one is probably the best. The reason for uneven skin tone is mostly dry skin, and what better to use for dry skin than honey. Honey is one of the best natural moisturizers, and it also has significant antibacterial properties. Just apply a little bit of honey to your face and leave it on for a few minutes. After that wash it down with warm water, and if you repeat it daily, you will notice a difference in no time. It’s not as good as honey, but it's still worth a try. Just like honey, avocado is a great natural moisturizer and can reduce redness and skin irritation on top of it. 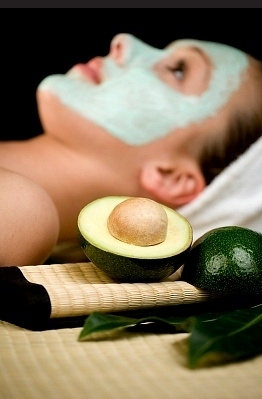 The only thing you need to do here is to mash an avocado and apply it to your facial skin in the form of a facial mask. Leave it on for half an hour, and wash it with warm water. After a few days, you will be able to say goodbye to redness and uneven skin tone. 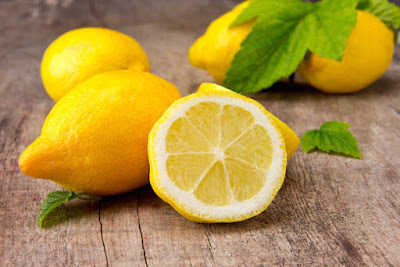 Lemons aren’t only great for bleaching the skin and correcting your skin tone. They also contain a significant amount of vitamin C in them, which makes the skin softer and younger, and even can correct your dull skin complexion. 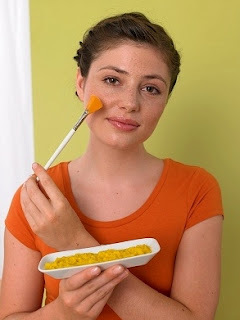 Mix a teaspoon of powdered milk, honey, and lemon, and then apply it to your facial skin. After leaving it on for twenty minutes, remove the skin mask. Just like with other home remedies, you should do this daily for maximum effect. Not only is cucumber a good bleacher for your skin, but it will also cool your skin down, and make it as firm as it should be. 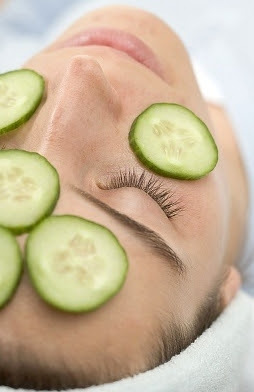 If you have trouble with dark circles under the eyes, you can just slice a piece of cucumber and apply it to your eyes. After half an hour remove it from your eyes, and repeat it two times a day. You will notice that it will successfully lighten the skin under the eyes, making you look fresh and rested. Like previously said, the main reason behind uneven skin tone is dry skin. Well, what better to use for dry skin then rosewater. 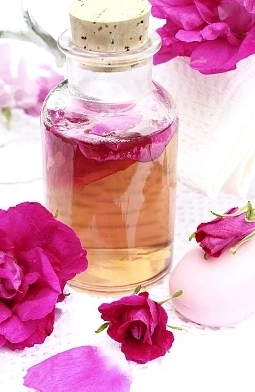 It has been reported that rosewater can soften dry skin, and while doing so it will also lighten your skin tone. You only need to apply some of the rosewater to your skin, and you will already feel your skin getting better. Pumpkin is the great natural antioxidant, full of vitamin A and vitamin C, which makes it only natural for them to be ideal for lightening your skin. What you need to do is make pasta out of a pumpkin. To do so, you only need to slice one pumpkin, boil it, and for the end blend it. Then mix two teaspoons of the pumpkin puree you made with a little bit of honey and water. Leave it on for twenty minutes, and wash it down with warm water. After a few days, you will notice that you’re slowly achieving the skin tone you wished to have. Yogurt is a milk product which is by itself good for your skin. But if you read about it more, you will find that it has skin bleaching properties, because it contains lactic acid. Just apply a little bit of yogurt to your face daily, and after a few days, you will surely notice a big difference. You may be busy, but these treatments take only a portion of your time, making them highly useful. Not only will you at the end of treatment have an even and lightened skin tone, but you will also have healthier skin, which comes as a bonus. And if you still are too busy for these treatments, you could always cancel your lifestyle fitness membership and start some home workout routine, which will give you enough time to spare for this healthy skin lightening treatments. Video: How to Brighten Your Skin at Home? Margaux Diaz is Health and Beauty Expert. Her main motive is to give information to readers through her Articles. She is contributor at Consumer Health Digest since Five years. She firmly believes in the power of self-motivation. Use olive or any natural oil. You rub the marks over and over for up to 30 min or even more a day - not necessarily all at once. Depending on how much you have rubbed them you will see fading in a few days. Keep up treatment and two weeks they will have faded considerably more. Overtime they will completely vanish. It got rid of all my dark spots, some pigmentations, even a facial mole, prominent scars and countless other skin imperfections. Treatment has helped many on Answers.. If massage entire face on a daily basis it will even out skin color, will tighten and make skin smooth and blemish free and give it a healthy glow. 1. mix 1 tsp of milk powder, 1 tsp of honey, 1 tsp of lemon juice, and ½ tsp of almond oil; leave on skin for 10-15 minutes before wash off. 2. mix oatmeal with curd and tomato juice.. do as no.1.